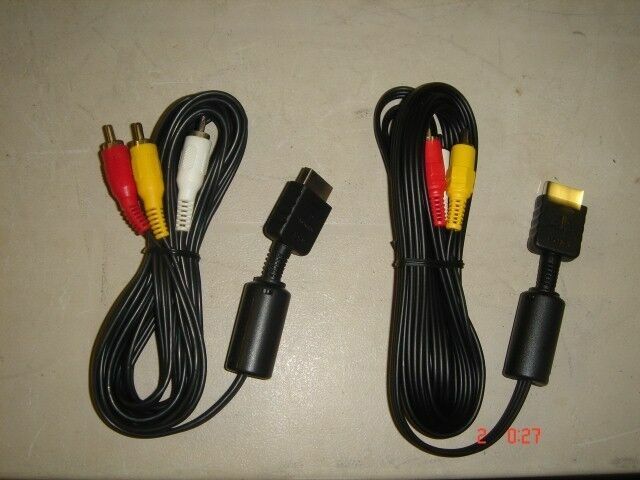 Hi, I’m interested in Video cable, SONY Play Station 2/3 - Sony Play Station 2/3, VIDEO Cable(NEW). Please contact me. Thanks! EDENVALE, SEBENZA R50 for ALL ITEMS - CASH ONLY! Selling my games, music and series, simply because my pc doesn't have a CD/DVD ROM. Games - ALL R50 (except for GTA 4 and 5) - Both are original and can be played online Series - ALL R50 Music - R50 Battlefield 2142 is a - Original. Pro Evolution Soccer 2006 - Original. Grand Theft Auto 4 - Original. Grand Theft Auto 5 - Original. Call Of Duty 4, Modern Warfare - Original. Call Of Duty, Modern Warefare 2 - Original. Company Of Heroes - Original. Fifa 14 - Original. Mount and Blade, Warband - Original. Mass Effect 1 - Original. Tiger Woods 2005 - Original. Joint Operations - Original. Risen - Copy. Ashes Cricket 2009 - Copy Call Of Juarez, Gunslinger - Copy. Pro Evolution Soccer 2010 - Copy. Pro Evolution is the Soccer 2011 - Copy Divinity 2, Eco Draconis - Copy. Dungeon Siege 3 - Copy. Pro Evolution is the Soccer 2015 - Copy. Call Of Duty, Black Ops - Copy. Dawn Of Magic 2 - Copy. Magic The Gathering, Duels Of The Planeswalkers (2012) - Copy. (Series) Blue Bloods Season 1 - Original. Bones Season 1 - Original. Rookie Blue Season 1 - Original. The Good Wife Season 1 - Original. Grey's Anatomy Season 10 - Original. (Music) The Temptations, Live In London (DVD video) - Original. Gerhard Steyn, Platinum Prins (Music Video DVD) - Original. Gerhard Steyn, Brood en Melk (Music CD) - Original. Gerhard Steyn, Tien Van Harte (Music CD) - Original. Gerhard Steyn, Afrikaanse Meisies (Music CD) - Original. Gerhard Steyn - Breekbaar (Music CD) - Original. Gerhard Steyn and Anais, Liefdesoorlog (Music CD) - Original. Gerhard Steyn, Nuwe Krag (Music CD) - Original. Natalie Chapman, Truth Sessions (Music CD) - Original. Gerhard Steyn, Hartvanger (Music CD) - Original. Joe F, Musiek Ambassader -(Music CD) Original. I'm located in Sebenza, Edenvale. Dance Dance Revolution Matt USB Stepmania - Can provide or just download from internet. whatsapp me. Tamagotchi 168 in 1 for sale!